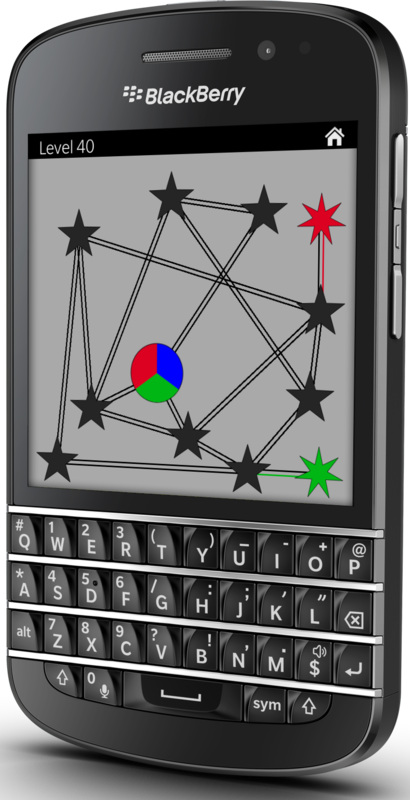 Version 1.9 of the Starbeams game has been released in both BlackBerry World and the Windows 8 app store. This version adds ten brand new levels. Also the Windows 8 version of the game has now been optimized for Windows 8.1 and the BlackBerry version of the game, now backs up game progress to your BlackBerryID. The object of the game is to assign colors to each star in order to ensure that none of the stars are connected to another star of the same color. The game starts off easy, but quickly gets more complex, adding more colors and seven pointed stars that can not be changed.